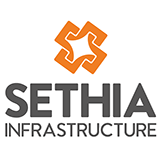 Established in 2000, with a firm view of providing value for money solutions in real estate, the Sethia Group today is a multi-faceted entity with projects that span the spectrum of the industry verticals, ranging from construction of residential, commercial and industrial Parks. The Sethia Group has a strong presence in the Western Suburbs of Mumbai with more than 5 million square feet of ongoing and planned development to their credit and a satisfied customer base of more than 5,000 happy families. In tune with evolving urban lifestyles, the Sethia Group has continuously sought to provide the best solutions that cater fully to customer needs within affordable budgets without compromising on design, quality and timely delivery.